Jason is a founding Board member of Northern Kentucky Baseball, and has been coaching youth baseball for 19 years. Jason has held several important roles for NKB; he was most recently the Vice President of Fields and Scheduling, and the previous District 1 Commissioner for Cal Ripken/Babe Ruth in the East KY Babe Ruth League. 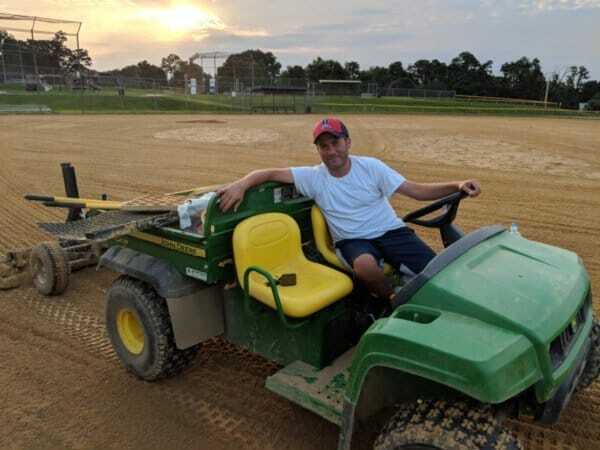 He also currently oversees the staff as park manager at both Mills Road Park and Mountain Ball Park. Jason works as a Supervisory IT Specialist for the IRS Criminal Investigation Division. He and his wife, Sabrina have 3 children. Ethan, who attends Northern Kentucky University, and Twins Alyssa and Andrew, who are Seniors at Cooper High School. Along with coaching youth baseball, and serving on the NKB Board, Jason is extremely active at Cooper High School, assisting with the PTSO; that his wife Sabrina is the current President of. He is also a passionate Cincinnati Reds and Bengals fan. Jason is extremely proud of the progress NKB has made over the past few yeas, and looks forward to seeing the future of baseball in Northern Kentucky. Serves as the chief administrative officer of the league and is responsible for conducting the NKB in conformity to the policies, principles, rules and regulations of the league and Babe Ruth/Cal Ripken Baseball as agreed to under the conditions of its charter. Exercises general authority and supervision over all functions of the league; however, specific authority is delegated to specific Board members, other volunteers and hired agents. Oversees the general conduct of all officers, managers and coaches and ensures that they are performing their duties accordingly. Informs the Board if someone is not performing their duties as required or their conduct is inappropriate. Meets periodically with each new Board member to review his/her responsibilities. Sets the Board meeting agenda, dates and times and presides over all meetings. Represents the league in all meetings of the local, state or national organization. Completes and returns the application required to renew the league charter each year. Authorizes and approves all expenditures by reviewing invoices and co-signing all checks over specified amount. Provide overall guidance for the league and the Board of Directors. ​​Bring new ideas and improvements to the board. Look for opportunities to grow the league. Answer general emails concering the league in a timely manner. Being open to improvements and help cultivate new ideas. Encourage and help Board members..
Help recruit new Board members to open positions. Address general emails and calls concerning the league. Set Board meeting times and dates. Prepare an agenda for the Board meetings. Authorize and approve all expenditures by reviewing invoices and cosigning checks over specified amount. Submit with the Treasurer, the annual operating budget for approval of the board. Facilitate the preparation of an annual operating budget in cooperation with the Treasurer.